media.ccc.de - Playlist for "openSUSE Maintenance"
we release bugfix and security updates via online updates. 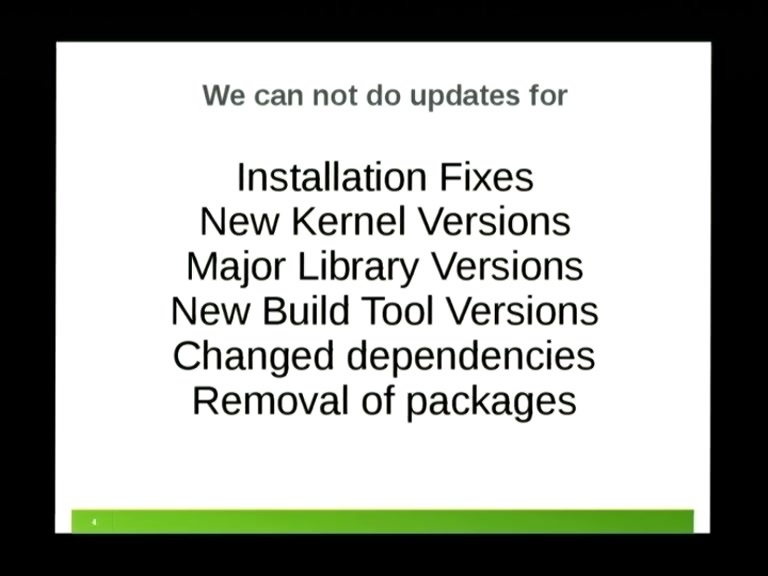 Also, last year a new release came with new and changed update origins, openSUSE Leap 42.1.
might be confusing at times. as packager needs to observe, also especially in regards to Leap.